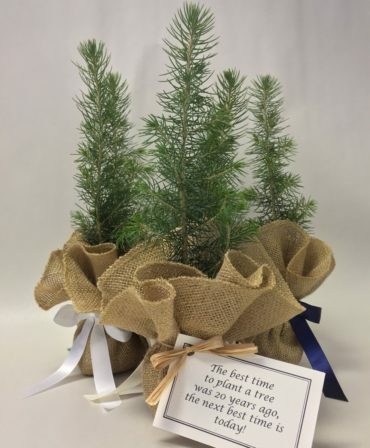 Burlap trees make excellent tree wedding favors or table decorations, as they are designed to stand up on a flat surface. Typically, we use only evergreen varieties for these as their shorter size is better for the application. 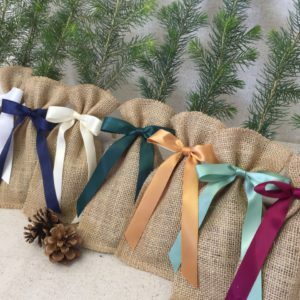 Your burlap tree consists of the half-bagged tree seedling, planting instructions, a 12” burlap circle, and ribbon in your choice of colors. Again, you can choose to add a 2.5” x 4” custom tag to you trees. 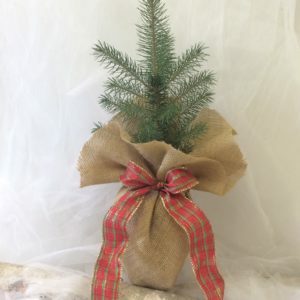 To save $1.75/tree, you may choose to order your burlap trees as a kit to assemble yourself. Zone map is on Tree Information page. 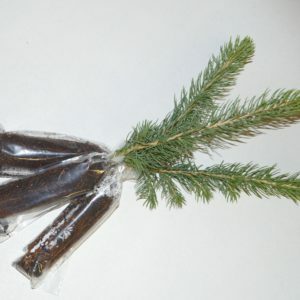 For orders of over 1500 trees, please call us for price quote at 800-825-5122.